The Riverview School is a safe and orderly school where students agree that bullying does not happen frequently and the leadership is liked, surveys report. Children speak Bengali, Arabic, Punjabi, Romanian, Mandarin, Nepalese, Swedish, Urdu, Cantonese, Spanish and English at home. 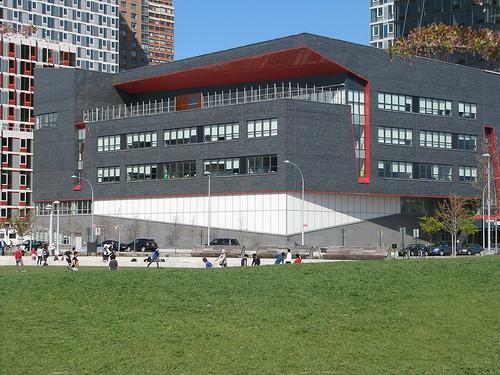 The school, which opened in 2013, serves around 200 students with disabilities in five sites across Queens, including Ridgewood, Astoria, Corona, Long Island City and Jamaica. The attendance rate for the 2015-2016 school year was 89.5, according to the Comprehensive Education Plan (CEP) and we read in the 2015 Quality Review that the quality of teaching is good. About 15 children attend inclusion programs at Hunters Point Community Middle School, a popular school in Long Island City. Special needs children not only participate in general education classrooms, but also in after-school dances, bands and debate teams.